It’s a time to treat yourself to a bit of sun if you feel you’re missing it, get involved in something new, or celebrate tradition wherever you find it. We’ve got six places to excite you. 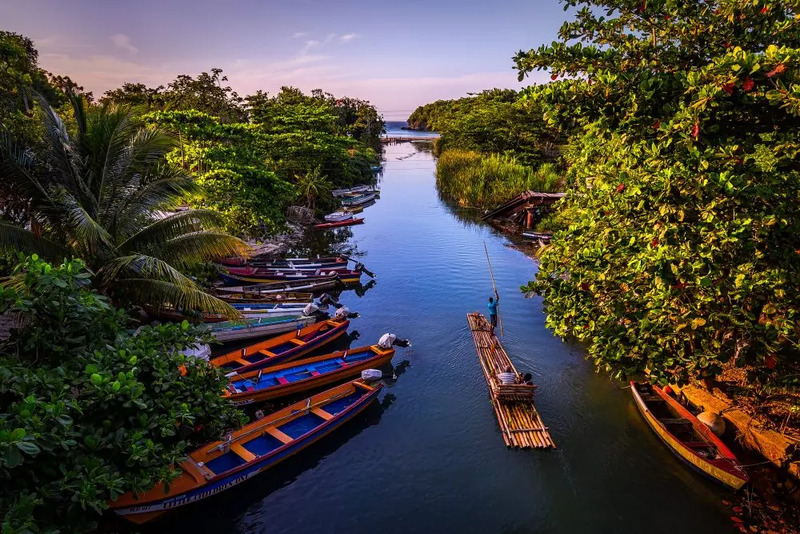 The end of March could very well be the perfect time to visit Jamaica, as the hurricane season is over, the weather is balmy, and you’ll have missed the worst of the spring break crowd. 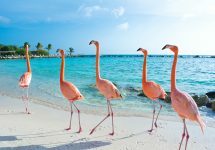 The Montego Bay area to the north of the island is perhaps the most well-known resort region, with hotels to suit all budgets and an airport that’ll get you to the US or Europe easily, but it pays to venture a little bit further. Negril, to the west, has miles of sandy beaches lapped by warm, shallow water, where scuba diving among the coral reefs can be interspersed with cliff diving or simply sitting on the sand with a cocktail or two. Dunn’s River Falls near the town of Ocho Rios gives you a chance to hike up — literally hike up — the waterfall, or, if you fancy something more strenuous, try and complete the climb to the summit of Blue Mountain Peak. On a clear day, you can see from coast to coast and across the water as far as Cuba, before returning to one of the Blue Mountain Coffee farms for a reviving cup of their famous brew. First thing’s first, let’s clear this up. It’s either St Patrick’s Day or Paddy’s Day. Not St Paddy’s, St Patty’s, Patty’s Day or any other combination of misspellings and upmessery. Right, now that’s been dealt with, we can point out that St Patrick’s Day is on a Sunday this year (17 March), which means that the 16th is both a Saturday and therefore the perfect excuse to have a party. 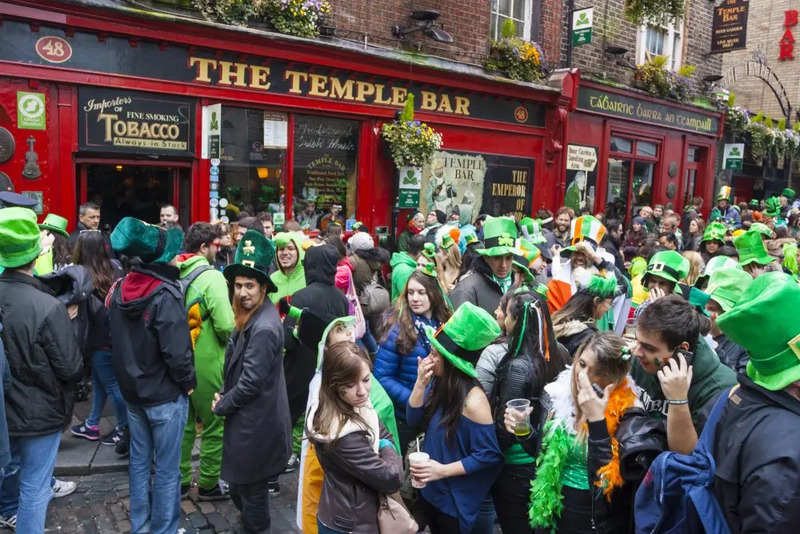 Ireland’s big national holiday is celebrated all over the world, but if you can experience it at least once in the country itself, then take that opportunity. It’s a wonderful country anyway, with beautiful countryside, charming towns and the famed friendliness of the people. Outside of Dublin, there’s the individualism and regional pride of Cork, the Georgian elegance of Limerick, or the harbour city of Galway — European Capital of Culture in 2020. Wherever you go, you’ll have an amazing time. Another, far less well-known national holiday arrives in March, and it’s the festival of Mărțișor, or Little March. On the first of the month the two countries celebrate the coming of spring, and all over the region people wear a small talisman made of red and white string pinned to their clothes, close to their heart. It is believed that giving the talisman (also called a mărțișor) to someone will ensure the wearer is strong and healthy in the coming year. And what of the destinations? 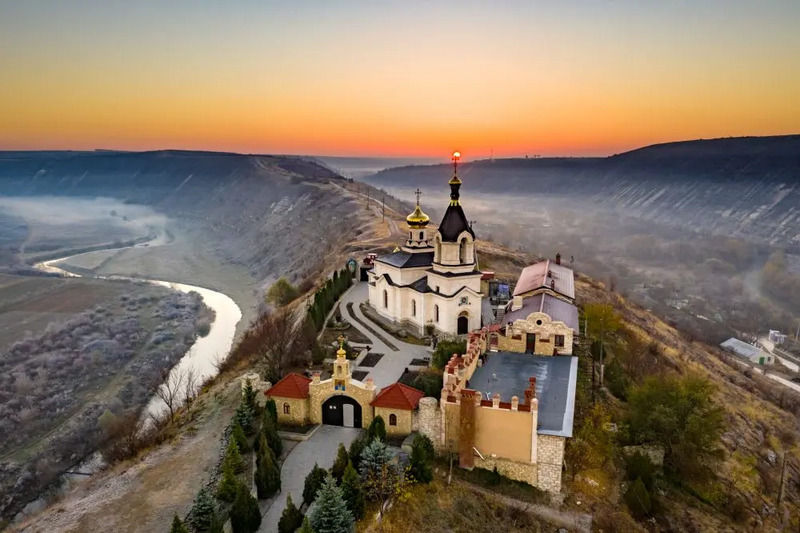 Well, Romania is becoming somewhat of a cool destination for people who want a slice of central Europe without the crowds and hawkers of Prague or Budapest, while Moldova — a small country between Romania and Ukraine — is one of the few countries in Europe that remains relatively untouristy. People are slowly waking up to its charms, and a wine tourism industry is slowly starting to grow. It’s mainly rugged, unspoiled countryside, dotted with rustic villages, crumbling castles and ancient monasteries. The capital, Chișinău, retains an air of Soviet hangover but in the pre-Communist era buildings and landmarks still retains a proud degree of ethnically Moldovan history and culture. Through February and into the first week of March, possibly the world’s most famous party is in full swing. Almost since the founding of New Orleans in 1718 there have been Mardi Gras parties around this time of year. In fact, it seems almost fated; French explorer Jean Baptiste de Bienville landed at a crop of land around 100 km (60 miles) south of what is now the city and named it Pointe du Mardi Gras when he realised it was the eve of the holiday. Fast-forward 300 or so years and it’s a phenomenon that draws crowds from all of the globe. 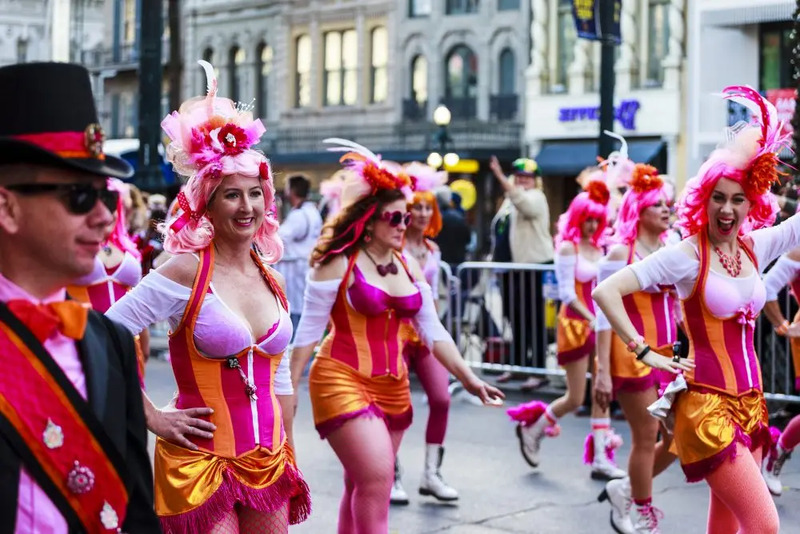 The parades are focused around a number of Krewes, or carnival social groups, some of which have been around for decades, and some of which were more recently founded. Each has their own themes, colours, history, iconography and traditions, but the things they all have in common are colour, joy and excitement. The most elaborate parades take place at the end of Mardi Gras season (ie the first week of March this year). The final day, Big Tuesday (or Fat Tuesday) ends with the start of Lent on Ash Wednesday. Traditionally, mounted police officers make a show of clearing tourists from the areas around upper Bourbon Street at midnight when the carnival officially ends and Lent begins. The following day is sometimes known locally as Trash Wednesday, due to the amount of rubbish to be cleared up. Local news, however, often reports this as a good thing, highlighting as it does the money made from tourism and the ever-increasing popularity of the event. Ivrea is a small town to the north-east of Turin; a pretty place, but not unlike a thousand other old towns that are scattered across the mountains and valleys of the peninsula. It does have one thing that no other town has, however, and that’s an annual battle using unusual projectiles. 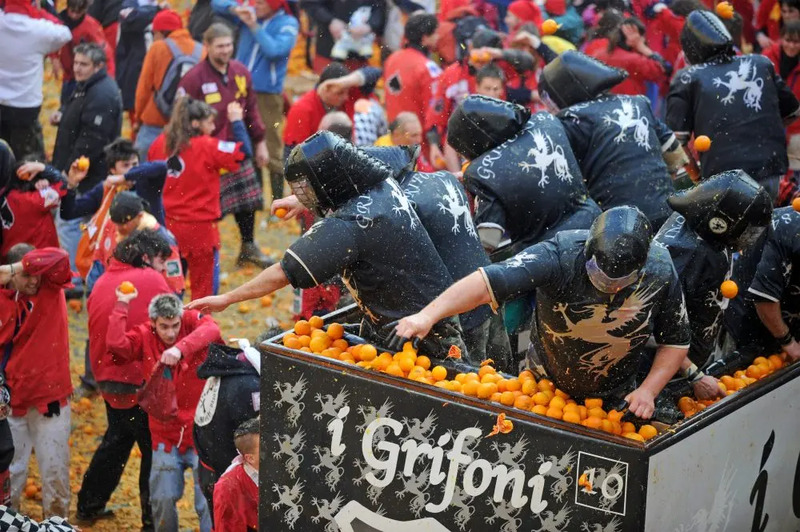 Many people have heard of La Tomatina, the Spanish festival in which people throw tomatoes at each other, but here in Ivrea they use oranges. There is a story behind it, but its origins are relatively obscure: basically, the town was under the control of a tyrannical nobleman who attempted to seduce a young lady who lived there. The plan backfired when instead of consenting, she cut his head off. This lead to the people storming the nobleman’s palace and burning it down. This scene is re-enacted annually in the medium of oranges, with a girl chosen to play the part of Violetta, the woman who started the revolt. 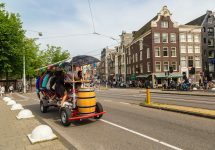 Today, teams of aranceri, or orange-handlers, play the part of the townspeople on foot and other teams of aranceri ride in carts. These are supposedly the nobleman’s forces. Only people officially involved in the event can throw oranges; indeed, spectators are advised to buy and wear a special red cap which signifies that you’re part of the revolutionaries and (theoretically) stop anyone lobbing oranges at you. It doesn’t really work; you’re still virtually guaranteed to get hit a few times by wayward citrus fruits, but it all adds to the experience. This year the festival runs between 2 and 5 March. 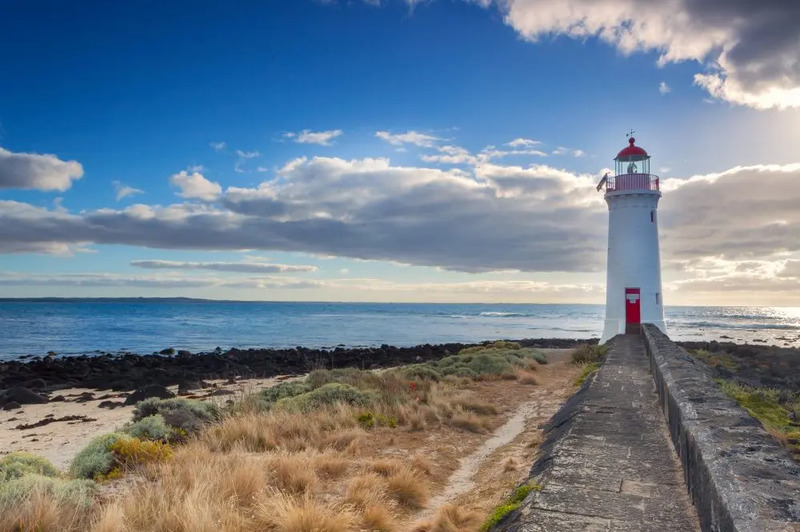 300 km west of Melbourne lies the small town of Port Fairy, and this town on the Great Ocean Road has everything you’d think of in a small Aussie town. 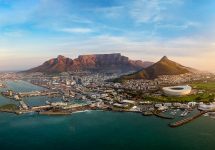 It’s laid-back and friendly, with a lovely harbour front, a historical downtown with around 50 listed buildings, and was ranked as one of the most liveable cities of under 20,000 people in the world. It also has a folk festival. 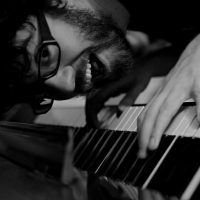 Taking place every year since 1977, this four-day festival showcases hundreds of bands playing folk, country, jazz, bluegrass, Celtic, nu-folk, folk-rock and much else that involves beards, mandolins and excellent knitwear (as an aside, I’m a massive folkie so I’m allowed to say that!). As well as the music, there’s a lot of family-orientated activities such as learning circus arts, a puppet theatre, sports, storytelling — even ninja training! There are workshops for adults as well, so if you fancy learning belly dancing, sea shanty singing or tai chi, you can get involved in all of that as well. It all takes place in an atmosphere so friendly you’ll appreciate why people keep coming back year after year.